Today we wanna focus our attention in understanding how the body type can affect the way you decide to start working out with Calisthenics routines. We will try to give you a brief explanation of which and how many are the type of bodies and which characteristics each one them has. HOW MANY TYPES OF BODIES WE CAN DISTINGUISH?! According to the picture above, you can already get a little idea of which differences are for each body type. Now we will analyze each one them more in detail in order to provide a satisfactory description of their pros and cons. This type of body is easily recognizable in those subjects who are first of all taller, but naturally relatively skinny, with a very low-fat mass percentage, thin bones as well as long-limbed body. For its natural characteristics, subjects with such type of body tend to have a fast metabolism and so it will be harder for them to gain weight since the changes are very subtle with much effort. This type of body, compared to the previous one, shows completely opposite characteristics since a subject of this kind would have fat in excess, low muscle definition, hence not lean at all nor skinny and most of all, it is very hard to drop down weight no matter which kind of diet or workout plan is followed. So, for a subject like that, in the specific case of Calisthenics trainings, it is worth saying that could be very useful to firstly drop down a bit of weight with some cardio trainings done regularly throughout the week for at least few months, since changes won’t happen from one day to another; especially when it comes to fasten the metabolism a little. Together with that, of course it is very important to combine a healthier diet plan, with several smaller meals during the day; in this way, it’ll be reduced the overall amount of daily food eaten and, at the same time, the metabolism will start to work more by using the energies stored in the body and to burn the fat thanks to the cardio trainings. Then, once the weight dropped down a little, it can be useful to approach Calisthenics still in a way that the body won’t put on mass immediately, but will keep burning fat and getting leaner muscles thanks to the kind of workouts that will be more focused on shorter breaks and a fair amount of repetitions each set of exercise. Well, in consideration of the differences enlisted above between ectomorph and endomorph, we can surely say that this is the best body type ever that they all dream about. Why is that?! 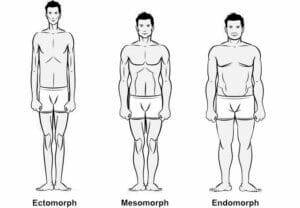 Simply because it is a mix of the two previous body types (“best of both worlds”) being characterized by a larger frame (bone structure) like the endomorph and low body fat, hence leaner muscles, like the ectomorph. Just to give you an idea of who, among the world’s most known celebrities, has this kind of body we can mention for sure Arnold Schwarzenegger, Sylvester Stallone, Mark Wahlberg and many more. In this case, there is not much to say in terms of specific Calisthenics ways of training to stay lean and build muscles, since such body type has already naturally enough advantages. So it’ll be sufficient to build a proper workout schedule that leads to increase strength, explosiveness since by working out the body will be already bulked up and lean. One very important thing to emphasize, in consideration of three body types we just analyzed, is that in this world it will be very hard to find someone who matches exactly with just one of such body types. Each one of us has a body that is usually characterized by elements of at least two body types combined; you just have to think a little about all the characteristics enlisted above and you will find out to which of those you match the most. 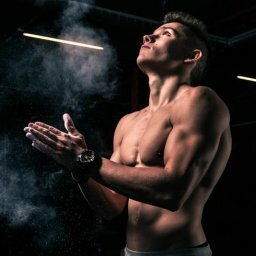 Of course, is not impossible that someone can surely have a body type of the three above; in that case, for instance if mesomorph, surely such subject will have incredible advantages in terms of natural beauty physique and in terms of doing less efforts in eating and training to stay muscular and lean. It is also possible to change from a body type to another, but of course it will imply a lot of sacrifices, habits’ changes, a lot of efforts in terms of trainings and diets; as we all know those who are into this path tend also to include supplements in their diet plan to fasten the burn fat process, but in my opinion, I would take longer time, do more sacrifices in terms of eating healthy and do more efforts in every training and reach a fair result in duly time.